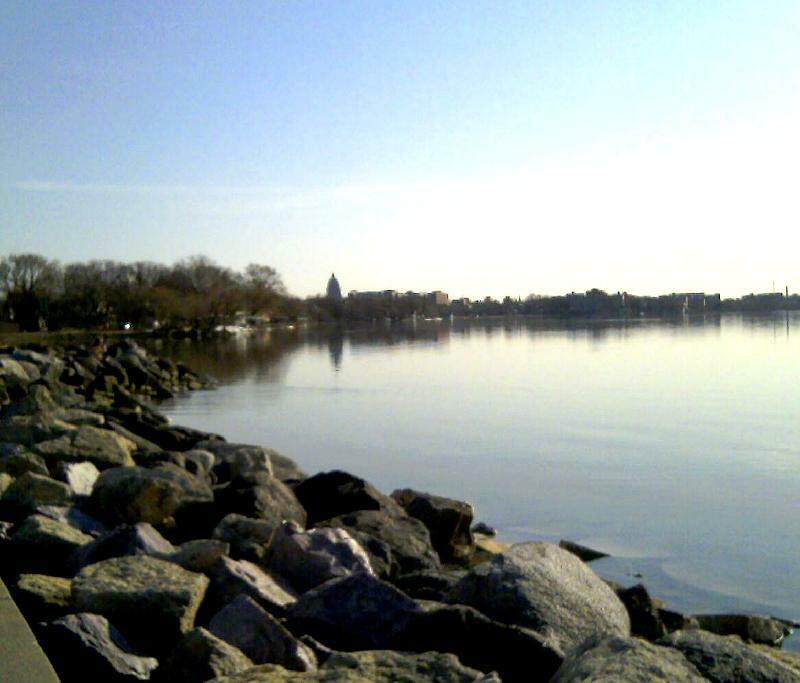 Looking across Lake Mendota toward the Capitol late this afternoon. The ice is gone except for a little floating on the water and a few piles along the shoreline. The temperature, when I took the picture, was in the mid-60s. Shirtsleeve weather. Lots of people in shorts and the parks active. Tomorrow the prediction is 78. And the expectation is 70s for the rest of the week. It's almost midnight now and 54. This is enough of a harbinger of spring that I can easily tolerate a couple more cold blasts and even some more snow.